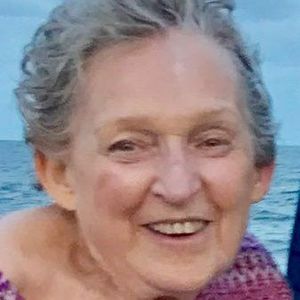 Kathleen Judith Gulbranson, 79, of North Charleston, SC, wife of Bruce Gulbranson entered into eternal rest Monday, February 11, 2019. Her Funeral Service will be held Tuesday, February 19, 2019 at 10:30 am at St. Thomas The Apostle Catholic Church, 6650 Dorchester Road, North Charleston, SC, 29418. Interment will follow at Mount Pleasant Memorial Gardens, 1308 Mathis Ferry Road, Mount Pleasant. The family will receive friends Monday, February 18, 2019 from 6:00 pm to 8:00 pm J. HENRY STUHR WEST ASHLEY CHAPEL, 3360 Glenn McConnell Parkway, Charleston, SC 29414. Arrangements by J. HENRY STUHR, INC. NORTHWOODS CHAPEL. Kathleen was born July 2, 1939 in New Haven, CT, daughter of the late Edward John Fitzgerald and the late Elsie Werle Fitzgerald. She was a BSN Registered Nurse and retired as the Director of the Wellness Center at Fairleigh Dickenson University in Teaneck, NJ. She was a member of St. Thomas The Apostle Catholic Church. She is survived by a son, Robert Edward Gulbranson (Erin); two daughters, Elizabeth Anne Nesti (Anthony) and Susan Dawn Srock (David); brother, Edward Joseph Fitzgerald; sister, Mary Ann Lally (Tom); 9 grandchildren. In lieu of flowers, a donation may be made in her name to the American Lung Association, 44-A Markfield Drive, Charleston, SC 29407. I am so sorry for your loss. My prayer and thoughts go out to your family. May you find peace in God's word recorded at John 3:16. Dear Bruce, I am thinking of you during this sad time. I am so glad that you both had such a lovely life together. The respect and love you showed to each other is wonderful. The connection to each other through love will remain. My condolences to you and your family. now a beautiful angel in Heaven. Prayers and Thoughts are with you. Please know that I am praying for you during this time. This comes with deepest thoughts, prayers, and sympathy. I will always remember the letter Kathleen wrote and had all the RN students sign to support my retention at William Paterson. This was for tenure, and after the review by all at all levels, the Dean informed me everyone was impressed by the actions taken. I will never forget this. Kathleen, thank you and rest in peace. We such vivid memories from your time here in New Jersey and William Paterson. We remember the birth a of the children and our journeys through teaching and administration. We are also saddened by your loss of such a dynamic wife, mother, and grandmother from your lives. Life Stories provides friends and families a forum to post their favorite stories and memories of Kathleen Judith Gulbranson ensuring the precious experiences are never forgotten. Share joyful times, post a photo that captures the moments you cherish, and allow others to reply, relive and remember.